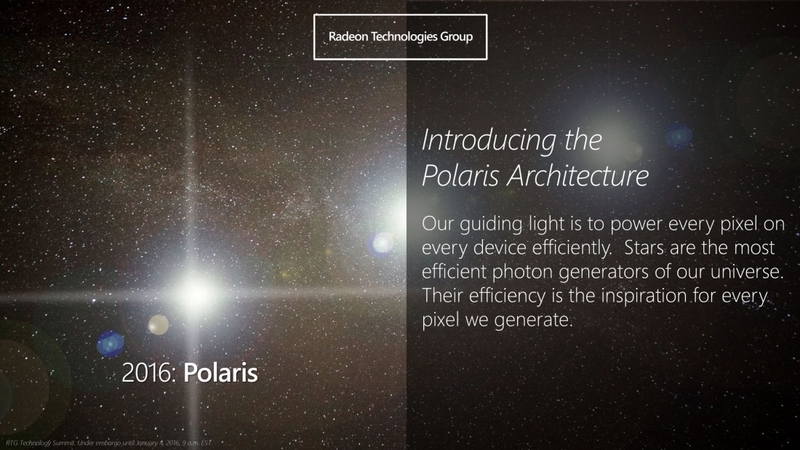 An interview between Ars Technica and AMD's Roy Taylor has revealed some more information about the company's upcoming Polaris architecture. According to him, Pascal is focused on increasing the 'total addressable market' (TAM) for virtual reality through more affordable graphics cards. Virtual reality, particularly on high-end headsets like the HTC Vive and Oculus Rift, requires a powerful gaming system. The minimum recommended graphics cards for VR – the Nvidia GeForce GTX 970 or AMD Radeon R9 390 – still cost around $330, which is a fair bit to pay for a single component in a PC. Judging by Taylor's comments, Polaris will bring the performance required for VR down to lower price points, expanding the TAM by making these cards more accessible to PC gamers. And these more affordable cards won't be simple rebrands of older cards like we've seen from AMD in the past; instead they will be based entirely on Polaris. Taylor's comments fit with what AMD recently said in their financial report, which indicated that Polaris 11 will be a GPU that targets the "notebook market" while Polaris 10 would go after "the mainstream desktop and high-end gaming notebook segment." That's not to say Polaris 10 won't be powerful in the "mainstream" market: some other reports have hinted that the top-end Polaris 10 cards will feature performance similar to Nvidia's flagship GTX 980 Ti at a significantly reduced price point. If AMD wants to increase the TAM for VR, bringing the performance of a $650 card down to $300 or so is certainly one way to do it. Nvidia, on the other hand, is seemingly focused on creating the most powerful single-GPU graphics card with Pascal, priced at similar levels to their current flagships. It may not be until 2017 before we see a new high-priced flagship from AMD, which is when the company is expected to launch 'Vega' with HBM2 on die. Both AMD and Nvidia are expected to reveal more information on their upcoming graphics cards next month ahead of Computex.